The rich colors, intricate patterns, and simple lines make this a perfect piece to wear with black pants or jeans. 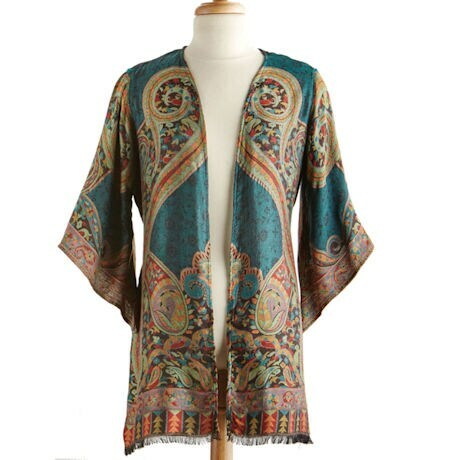 Lightweight, drapey 100% viscose jacket has an open front and mid-length kimono sleeves. Size S/M(8-12), M/L(14-18). Size S/M hangs 30". Machine wash. Imported.